It seems that DIY is growing more and more popular each year! Here are some of the best home decor DIY projects and ideas from the homify community of 2016! Looking for more storage space? This convenient hanger made of painted plywood will help relieve any cottage, garden shed, or garage from its overwhelming floor clutter. In a bedroom, you can use this design to hang hats and scarves, or in the kitchen you could install a board like this for keys and umbrellas. For something so simple as a piece of plywood with holes drilled in it, a design like this is ingenious in its simplicity, offering convenient storage no matter where you hang it. A stylish wall of plastic bottles looks especially beautiful in the country, but these design can be accomplished in a sunny interior as well! 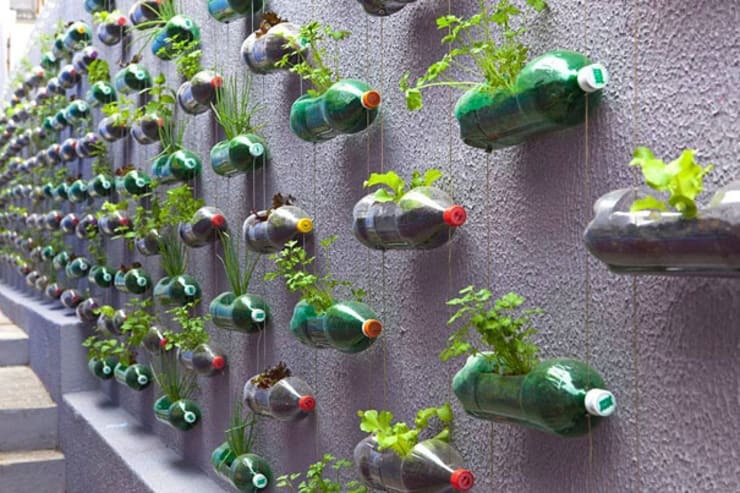 By painting the bottle caps in coordinating colours, you can bring an element of artistry to this design, but the real value of this project is found in all the fresh herbs you'll enjoy! 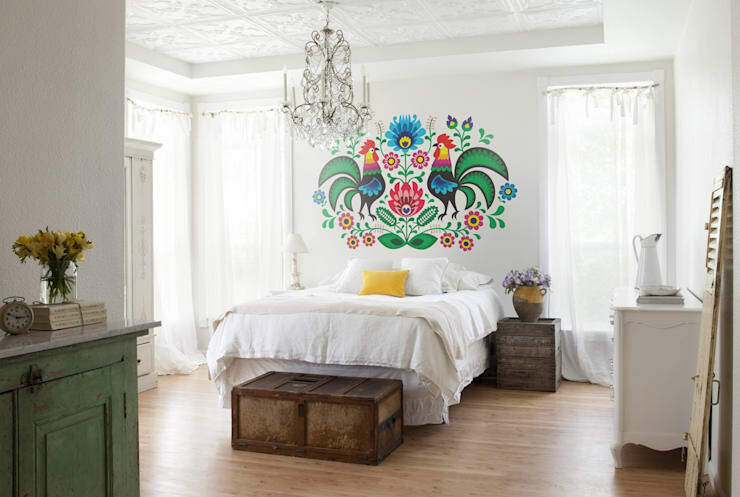 Think you need to be a practiced artist in order to paint your own walls? Think again. Stencils lessen the chances of ending up with something you don't like, creating smoother contours, straighter lines, and even compositions – the best part? You can make them yourself from cardboard! This looks especially stunning in a bedroom as a substitute for a headboard. For more inspiration for decorating your walls, have a look at this ideabook with 10 ideas for dressing up your walls! Here's a simple DIY project that creates an instant industrial vibe. 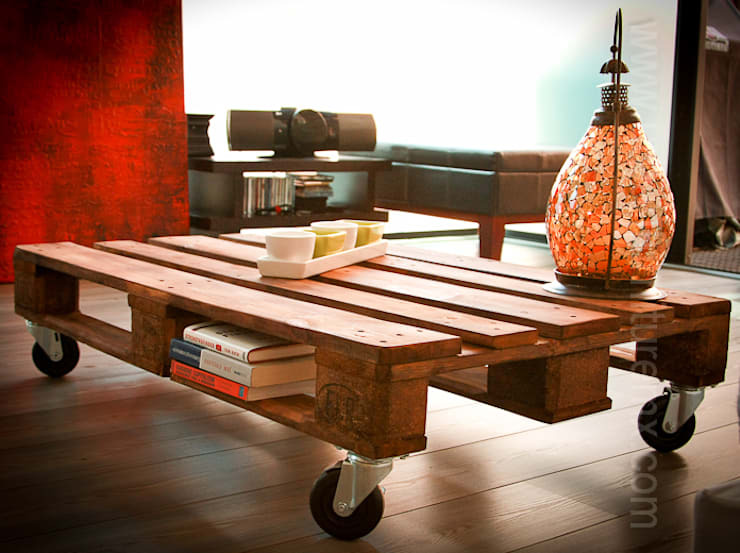 This simple design clearly illustrates the effortless minimalism of pallet furniture, as it's transformed into a coffee table with storage thanks to the quick addition of four wheels and a bit of wood stain. Perfect for small homes where each room need to be flexible and multifunctional, this rolling table is a lovely utilitarian piece. Granted, a suspended bed is not always a DIY project – depending on your home's structure, you may have to hire a professional interior architect who can assess the strength of your ceiling and add any required supports. Nevertheless, this suspended pallet design is too good to be left off the Best of 2016 list! Pallet beds have come into style, as a simple project that requires no more than a few stacks of wooden pallets. 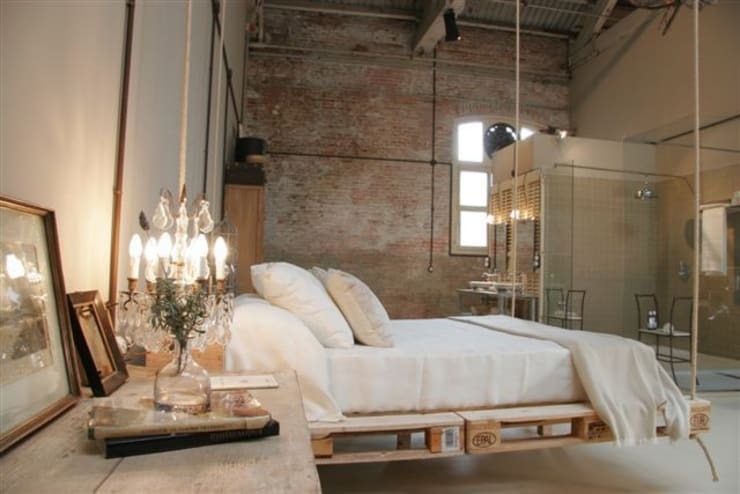 This design gives the pallet bed a whole new sense of adventure! Simple, timeless, and stunning! 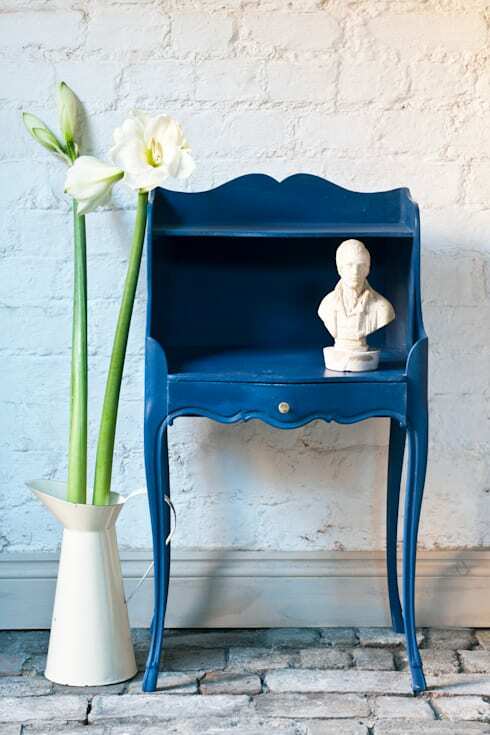 Grab some paint, and give that old furniture a touch of playfulness and modernity with a fresh, bright coat of paint! This will instantly transform old, tired pieces into fun conversation points that blend a vintage look with modern appeal. Another project that appeals with its sense of utter simplicity, this stacked closet design turns a bunch of crates into an aesthetically pleasing array of storage cubbies! As this project is modular and highly adaptable, it's an easy DIY for anyone to try, no matter the size of their space. 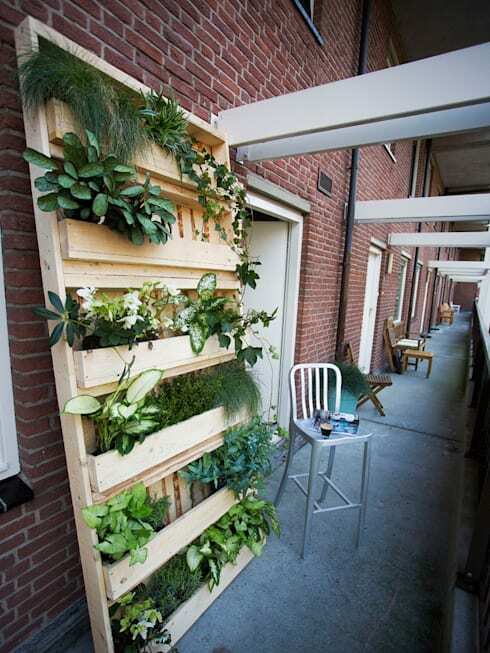 There's a plethora of ways to grow your own greens in a small space (like this narrow apartment balcony), and this vertical wooden garden design is just one of many attractive and inexpensive ways to make your lifestyle a little more eco-friendly. What do you think of these simple DIY tips? Comment on these home decor projects below!